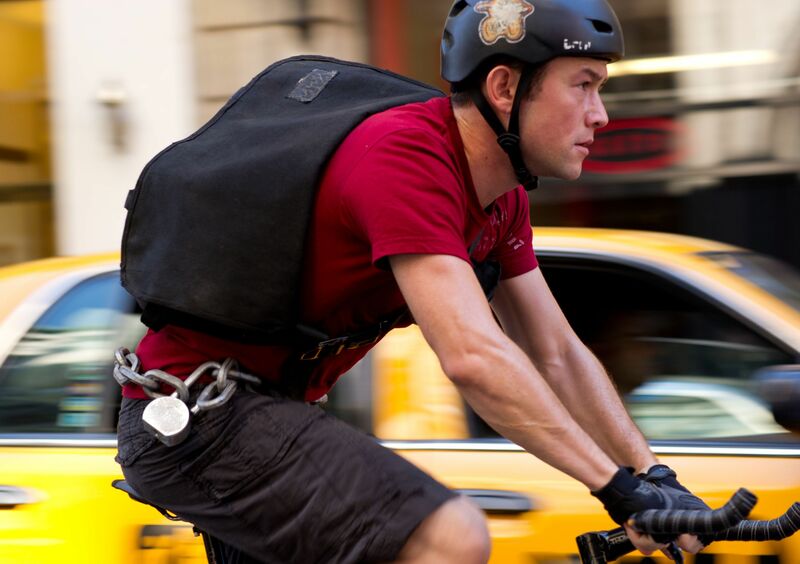 Premium Rush is a high-adrenalin action thriller set in the world of bike messengers. 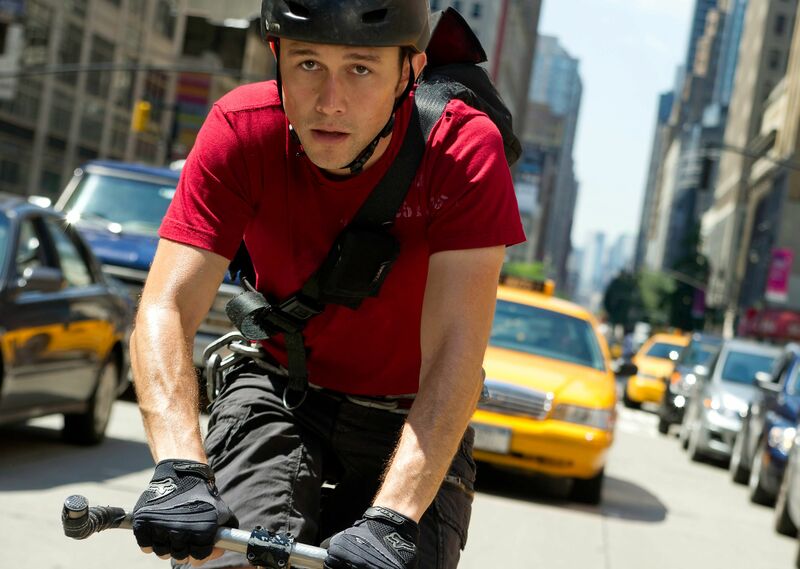 Wilee (Joseph Gordon-Levitt) is the best in New York, dodging speeding cars, crazed cabbies and inconsiderate pedestrians, all to make a delivery to its proper destination. But, when his last envelope of the day becomes more than he bargained for, a routine run turns into a life or death chase through the streets of Manhattan. At the film’s press day, Collider participated in both a press conference and 2-on-1 interview with co-stars Joseph Gordon-Levitt and Dania Ramirez, who talked about what attracted them to the project, the level of confidence you have to have in order to be a successful bike messenger, what surprised them most about bike culture, how much of the stunts they actually got to do themselves, and working with Michael Shannon as a crazed villain. Gordon-Levitt also talked about his feature directorial debut Don Jon’s Addiction, what makes Christopher Nolan and Steven Spielberg both such amazing filmmakers, and what’s up next for his production company, Hit Record. Check out what they had to say after the jump. 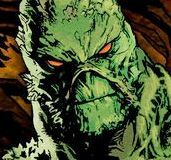 Question: How did you each get involved with this film? Was it brought to you, or had you been looking to do a straight-action film? DANIA RAMIREZ: For me, when my agents and reps send me a script, I read it through, just for the story purpose of it, and then I read it again to think of my character and see if it’s something that I’m interested in bringing to life. But, at the time, Joe [Gordon-Levitt] was attached to star in it, and I knew that David Koepp was directing, and I was a fan of his writing, in the past. So, I had to go in and audition, and then they brought me back to do a chemistry read with Joe. It just felt really right. It was a good fit. JOSEPH GORDON-LEVITT: I was in the middle of shooting 50/50, the first time that I read the script for Premium Rush, and it was very different. 50/50 is a movie about a guy fighting cancer, who’s body is giving up on him, and this was a character who was very strong and confident in his body. And riding a bike around New York City, all summer, sounded just like the perfect thing. Do you feel like you have to have a certain level of cockiness to be a bike messenger, since you can’t doubt yourself at all? RAMIREZ: I don’t know if it’s cockiness, as much as having to be confident and sure of yourself. You’re putting yourself in a situation where you do have to have a certain level of confidence in yourself, and know that you’re good at something. GORDON-LEVITT: Whether you’re a messenger or just riding, you can’t hesitate. You have to confidently and decidedly make your decisions and stick with them. That’s one of the basic traits of this character, Wilee. He makes these split-second decisions without hesitation. But, I think I would describe it as confidence more than cockiness. Did this turn out to be more fun or more work than you expected it to be? GORDON-LEVITT: It was really fun! RAMIREZ: I think it was just a blast! GORDON-LEVITT: I expected it to be fun, and it was fun. And I expected it to be work, and it was work. RAMIREZ: I expected it to be hard work too because we were gonna be riding bikes the entire movie, so I knew it was gonna be really physical. But, as far as the fun aspect of it, it was there while we were filming it and it’s there now that I watch it. GORDON-LEVITT: I wanted to go work hard and ride hard and get fit. That was really appealing, to me. Joe, compared to some of the other action roles you’ve done, like G.I. Joe, Inception and Looper, how was the intensity of Premium Rush? 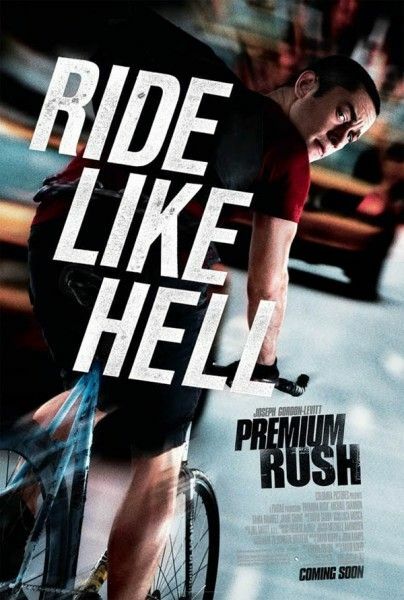 GORDON-LEVITT: Well, just as far as the physical challenge, I would say Premium Rush was the hardest one, and Inception would come in with a close second. I was on a bike, every day, all day. The whole movie is on a bike. Inception has some cool action sequences, but this was the entire movie. RAMIREZ: You have to take into consideration that this is a film where, most of the movie, we’re riding bikes. We had all the dialogue, while we were riding bikes. So, a lot of the training that we did – and we trained for six weeks prior to actually going to New York City and training there – was just a lot of endurance ‘cause you couldn’t run out of breath. You had to get your scene across and still be going really fast, in the midst of being in the middle of New York City. The training was actually completely different than doing an action film, where you can just go in and do your action sequences. What most surprised you about bike culture and bike messengers? 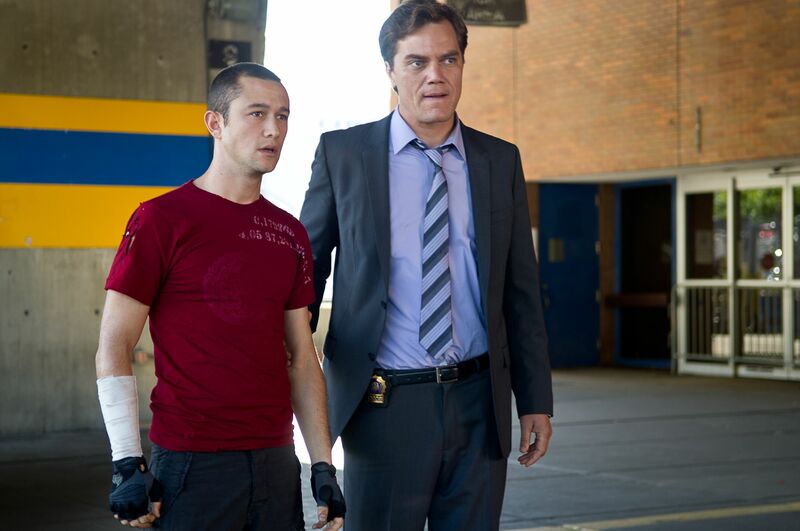 GORDON-LEVITT: What stood out to me was the sense of community. There’s a real culture and ethic around messengers, but also just people who are into bikes and that ride bikes. RAMIREZ: There’s a genuine respect that they have for one another. In the past, when I saw bike messengers, I would just see them as individuals. Then, I realized that they’re all tied together. GORDON-LEVITT: There’s a real morale with that. They’re really into having more bikes and less cars, and that’s true. If more people rode bikes and less people drove cars, the air would be in better shape and people would be in better shape. Bikes are clearly a superior form of transportation when it comes to just simple getting around. A car makes sense if you need to carry a bunch of stuff. RAMIREZ: It’s a healthy way to get from point A to point B.
GORDON-LEVITT: And you find a lot of subversive people who are like, “Don’t buy into mainstream culture. 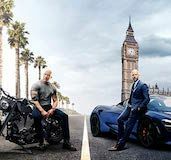 Mainstream culture is so oriented around cars and the money that is concentrated in big oils and big automotive.” Sorry, I shouldn’t be talking about all of that. Joe, how badly did you really get injured on this film? GORDON-LEVITT: There was a bit of an accident. I should start off by saying that everyone on the set, from the director on down, was very safety conscious. It was a perfect storm of a lot of things all going wrong, at once. To make a long story short, a diplomat broke through our lock-up. In New York City, you have the United Nations, so there’s diplomats driving around and they can break the law. So, he broke through our cones and the cops, and double-parked right in the middle of where we were shooting. Basically, I ended up going through the rear window of a taxi cab and getting 31 stitches. Everyone was worried, immediately. They were really, really upset and worried that it happened, but I was flooded with adrenalin, right when it happened. You don’t feel any pain, right when your arm breaks open, so I was just like, “Oh, my god! Jesus, sorry! I’m okay!” (Director) Dave [Koepp] ran up and was like, “Are you okay? !,” and he was terrified. I was like, “You’ve gotta record this, man! Look at this! This is crazy!” So, I convinced him to, and he took out his phone and recorded some video. I was stoked that he actually put it in the movie. Did you have to miss any work because of that? GORDON-LEVITT: Well, it was towards the end of the day, and then I was in the next morning. RAMIREZ: He was at work the next day, with a smile on his face. It was a good reminder that we’re not really these people, riding these bikes. We had stunt people who could do those things. Were there any stunts that you wish you could have done, but there was just no way they were going to let you do them? RAMIREZ: I tried to do as many stunts as I could, and I was good to just stick with those. We had a lot of doubles and people that are professionals, doing what they do. I think it would have been a disservice to the film, if I had tried to do something, like jumping off my bike. There was no way that I was going to get that perfectly, and still be here talking to you. GORDON-LEVITT: My character was played by five of us. There was me and four doubles, who all specialized in particular skills on a bike, and they’re brilliant performers. One was an actual bike messenger, one was a Hollywood stuntman who would get hit by cars, one was really good at trials bike riding, like the chase towards the end of the movie where he’s on a different bike doing the jumping, and then there was a fourth guy who was really good at doing tricks on a track back. That’s a big part of what makes the action in this movie so fun to watch. You are watching real human beings doing real things. There is very little digital CG special effects in this movie. You’re watching actual human beings, endangering themselves. Your body can tell the difference, when you’re watching that, as opposed to what amounts to a cartoon. Was it somewhat freeing to wear the same outfit for the entire movie, since it takes place in one day, or were you just so ready to get rid of it? RAMIREZ: Oh, god, that sweaty blue top that I wore, every day! 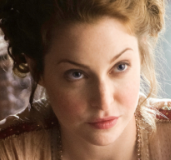 It was freeing, in the sense that you didn’t have to go into an elaborate wardrobe change for every scene. It was easier, in that sense. But after awhile, you want to change clothes. At least, I did. What was it like to work with Michael Shannon? How much of what he did was actually on the page? GORDON-LEVITT: I think he embellished here and there, but it was not an improvisatory situation. It was a really well-written script, and that’s a big part of what attracted all of us to it. RAMIREZ: David Koepp is brilliant. There were maybe some spots where you had a little freedom, but what was on the page was pretty much what was coming out of him. That’s a testament to Michael Shannon for being so brilliantly committed to these lines that people might think he was just making up. GORDON-LEVITT: It’s so much fun! There’s a tradition of really fine actors playing the villains in popcorn chase movies, whether it’s Alan Rickman in Die Hard or Dennis Hopper in Speed. I think Shannon fits right in amongst that canon. How was David Koepp to work with, as a director? Could you be collaborative on this, or was it very technical? RAMIREZ: There was so much technicality in the movie, period. Everybody was most concerned with our safety, and we were making sure that we delivered our scene, in the duration of whatever blocks we had blocked off. But, as far as David is concerned, he’s great. He made it so easy for us to ask questions and get into the characters. It was a pleasure working with him. RAMIREZ: He was really cool about having us read the scene out loud, prior to us heading out and riding on the bike for the scene. 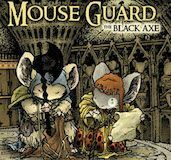 And if there were any problems while we were reading it, we’d tackle them there. Joe, you’re also a writer/director now, with your first full-length feature, right? 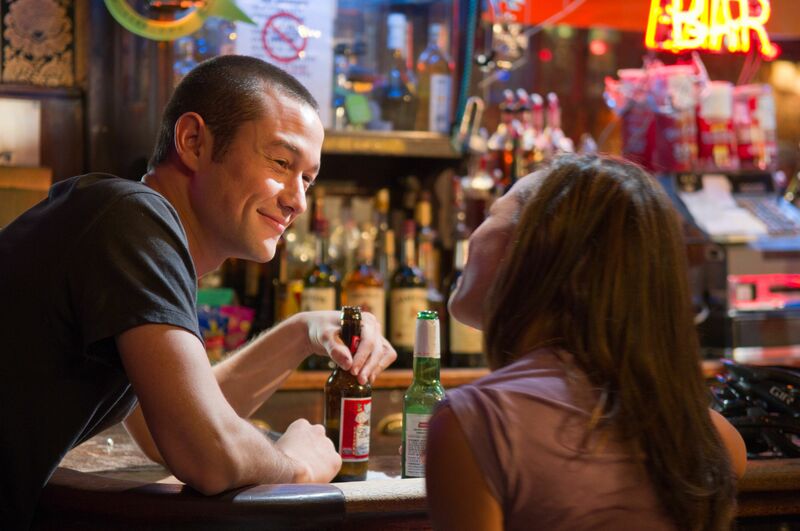 GORDON-LEVITT: Yeah, I wrote a movie that I’m directing, called Don Jon’s Addiction. I learned so much from working with so many great directors that it allowed me to do it. I’ll be stoked to talk to you guys about it, once it’s closer to coming out, but I had a blast. Scarlett Johansson read it and liked it, and is starring in it. 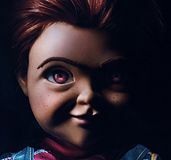 And Julianne Moore is also starring in it. We had a great time! How does that change you, as an actor? GORDON-LEVITT: As an actor, it’s always important to understand what the director is after. That, to me, is my job. When I’m acting, I like to ask a lot of questions and understand exactly why the director is doing what they’re doing, so that I can provide him or her with the ingredients that they need to get the scene that they want. I asked a lot of questions of Dave [Koepp] because I want to understand where the director is coming from. It’s not to challenge them, in any way. It’s just so that I can do my job best. I can’t wait to act again, and not direct. They’re two very, very different creative challenges. Having recently worked as Christopher Nolan and Steven Spielberg, and being a filmmaker now yourself, what do you think it is that makes them such amazing directors? GORDON-LEVITT: If I could summarize that, my dear . . . I don’t know. Well, both of those guys, on the one hand, have an extremely strong preconceived vision. They’ve done their homework. They’re very thorough. At the same time, they are spontaneous and they’re open to being collaborative. And on the day, if something is feeling like it’s going in a new direction, they’re willing to take that risk and let that happen. That’s a hard balance to strike. I think all the best directors that I’ve worked with have a good sense of that balance. How often do people still ask you to explain Inception to them? GORDON-LEVITT: Not very often. But, my favorite kinds of movies are the ones that start a conversation. What’s going on with Hit Record now? GORDON-LEVITT: We’re releasing a vinyl record right now. We spent the summer putting together a bunch of collaboratively made music. If you don’t know, Hit Record is a production company where we use the internet to collaborate, so artists of all kinds can contribute to our projects. We do music, shorts film, writing and things like that. We’re about to put out two 12-inch records with 78 different artists. Thousands of people contributed to all these songs, and then we curated it down to the collaborative work of 78 different artists. I have a song on there, that I wrote. I’m so proud of the project. We keep getting better and better, as a community. As it sticks around and continues to grow, the level of artistry just keeps going up and up. The quality of the music on this release, called Move on the Sun, just blows my mind. I’m so proud of it.